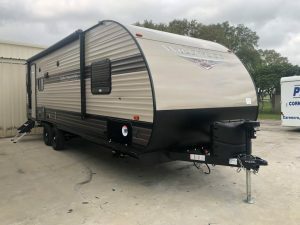 With Wildwood X-Lite Travel Trailers from Forest River, our owners get all the comforts of home to guarantee a pleasant stay at your favorite camping destinations. 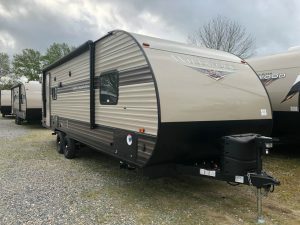 It’s the perfect trailer for you and your family to go a little “Wild” and, enjoy all the fun “together times” family camping has to offer. 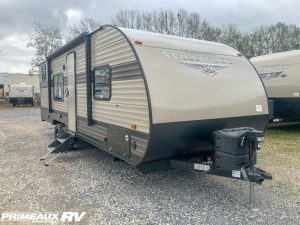 Wildwood Travel Trailers from Primeaux RV Superstore are specifically designed to provide you and your family plenty of room to enjoy a lifetime camping experiences. 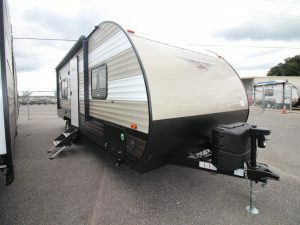 Plus, it’s a light-weight towable with a light-weight price to match. 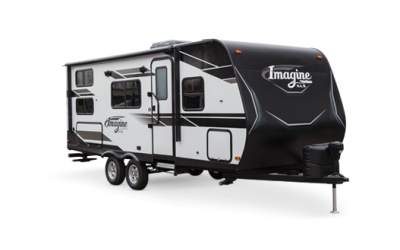 We know families come in a variety of sizes. 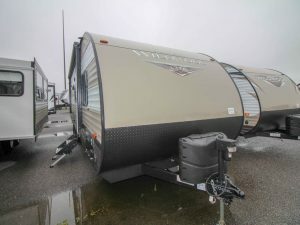 That’s why Wildwood X-Lite offers the same quality designs with a variety of unique and functional floorplans. 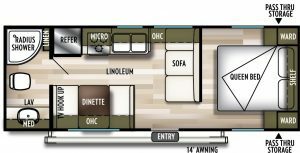 There is sure to be a layout that fits your family perfectly. 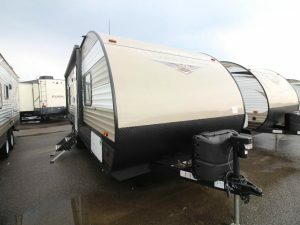 Camping is all about escaping your daily routine – but, not at the expense of abandoning ALL the comforts you expect. 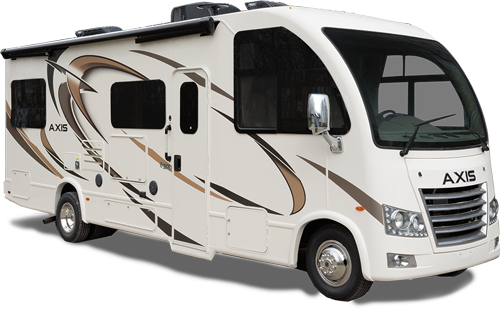 That’s why each Wildwood model provides a great escape from everyday living without sacrificing comfort, style or functionality. 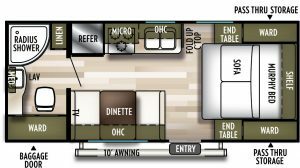 With bunks in most models, a booth dinette and jiffy sofa that allows for adequate sleeping you can take a whole crew with you when you go. 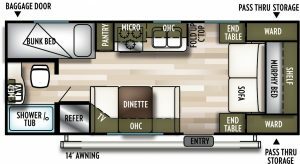 From private bathrooms, oversized windows, and bunk models for the kids’ comfort and privacy – to kitchen designs that are equipped to facilitate any size meal you may want to cook; you will love the high-rise faucet, extra deep bowl sink, and easy to clean countertops. 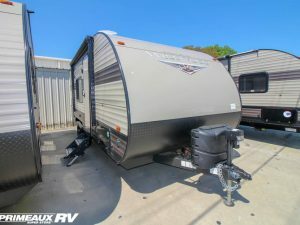 Think of what’s important to you and you will likely find it on these RV’s! Wildwood. The quality you expect. 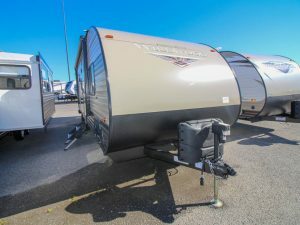 The luxury you deserve. 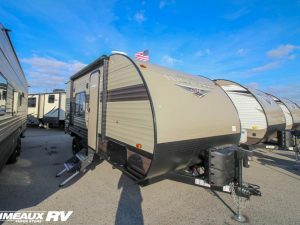 It is difficult to find anyone in the RV industry that packs as much quality and convenience as does Wildwood. 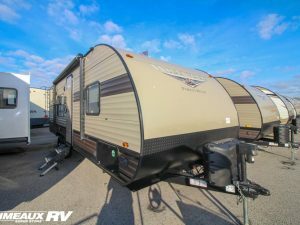 For your next family adventure, take a look at the “Wild” side of camping – and, come to Primeaux RV Superstore and tour a Wildwood X-Lite today!